OWATONNA, Minn., February 29, 2016 – Minnesota’s Department of Education (MDE) has awarded the six Minnesota Initiative Foundations a total of $180,000 to carry out a Pre-K to Grade 3 Alignment initiative. Southern Minnesota Initiative Foundation (SMIF) will use its $30,000 allocation to work with a minimum of 10 school districts providing outreach, technical assistance, training and financial incentives for districts to expand their Pre-K to Grade 3 alignment efforts. The Minnesota Initiative Foundations were selected to administer these funds given their years of experience helping communities bolster their early childhood efforts through their Early Childcare Initiatives (ECI). Collectively, over 90 Greater Minnesota communities have been through the ECI process, which brings together a cross-sector of early child care professionals to strengthen the communities early childhood resource network and work collaboratively to solve identified areas of concern. SMIF will administer its funds through small scholarships to school districts in the 20 counties of south central and southeastern Minnesota for Pre-K to Grade 3 alignment projects. SMIF also plans to host a training conference to help communities address their own communication gaps and align their Pre-K to Grade 3 programs. 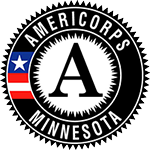 All scholarships and trainings are partially funded through the Minnesota Department of Education using federal funding, CFDA 84.412A, Race to the Top. To learn more about the Minnesota Initiative Foundations, visit www.greaterminnesota.net. For more information on SMIF’s role in the Pre-K to Grade 3 Alignment Initiative, contact Rae Jean Hansen at raejeanh@smifoundation.org or 507-455-3215.